An encounter when she was just 18 years old sparked Linda Ross’s career-long interest in spirituality. Working in a facility providing long-term care for older people, she met a woman who had a poor quality of life. ‘Her eyes were dull, she had essentially “switched off”,’ she recalls. 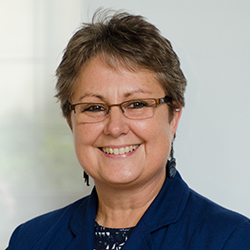 Today, as professor of nursing (spirituality) at the University of South Wales, Professor Ross is at the forefront of efforts to embed the importance of spirituality in nursing care. But while there are some terrific examples of good practice in healthcare and the voluntary sector, this remains a fraught area. Nurses report feeling unsure about how to fulfil their role in meeting the spiritual needs of patients and service users. High-profile cases, such as that of a Christian nurse who was suspended after offering to pray for a patient, have only added to the confusion. An RCN survey in 2011 revealed a high level of uncertainty about spirituality and nursing – and nurses’ need for support and information. While the overwhelming majority of respondents felt that spirituality and spiritual care were a fundamental part of nursing, almost eight out of ten said that nurses didn’t receive enough education or training in this area. More than nine in ten felt they were only ‘sometimes’ able to meet the spiritual needs of patients, and most wanted clearer guidance from health departments and the Nursing and Midwifery Council (NMC). A 2016 investigation by the Royal College of Physicians found that among people dying in acute hospitals in England only 15% had discussions about their spiritual needs documented. The National Institute for Health and Care Excellence (NICE) set out guidance last year on the care of people in the last few days of life. Dying people should be asked where they want to die and if they have any cultural, religious or social preferences, it says, although it does not specifically cite spirituality. 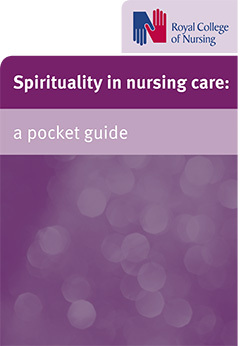 The RCN responded to its own survey by publishing a pocket guide to spirituality in nursing care, pictured. This makes it clear that spiritual care is not just about religious beliefs and practices, nor is it about imposing your own beliefs on others. It is not a ‘specialist’ activity, nor is it the sole responsibility of an organisation’s chaplaincy team. Rather, it is ‘about meeting people at the deepest point of need’. Attention to holistic care, including spiritual needs, is the responsibility of all nurses, says Adrienne Betteley, specialist adviser for end of life care at Macmillan Cancer Support. In cancer care, she says, ‘the baseline for effective personalised care is every person with cancer having an holistic needs assessment at diagnosis, which is then regularly updated’. Every human is a spiritual being, says hospice director Elise Hoadley, and all have spiritual needs. This should be at the forefront of care, particularly towards and at the end of life. ‘The four tenets of palliative care are physical, psychological, social and spiritual,’ says Ms Hoadley, director of the Sue Ryder Leckhampton Court hospice in Gloucestershire. The hospice, which provides specialist palliative care for adults with a range of conditions, has a chaplain who is an ordained Church of England priest, reflecting the background of the majority of its clients, but brings in leaders from other faiths as required. She believes nurses find it difficult to broach spirituality with patients partly because, anecdotally, many confuse it with religion. ‘People are frightened. There’s a fear of giving offence, partly because they’ve seen media headlines about nurses being struck off for offering to pray with a patient, for example,’ she says. Nurses at the hospice are encouraged to use a variety of tools and techniques to explore and ascertain people’s spiritual preferences. This includes asking people what matters to them, and using a ‘health thermometer’, a tool that helps explore people’s physical and emotional status. The average age of people in the hospice is about 45. For some, it can be music that provides their spiritual connection, or art or even social media. ‘We’ve made Wi-Fi available throughout – the digital connection is so important to people,’ says Ms Hoadley. Ms Betteley says a common misconception among health professionals, the public and patients is that spirituality is only about religion. This is something that isn’t yet reflected across health services, says Professor Ross. ‘I was teaching nursing students just the other day and they were saying that hospital admission forms still have a box for religion,’ she says. ‘For one thing, spirituality is a lot broader than that. For another, students say the box often isn’t completed. Professor Ross and some colleagues, including Staffordshire University professor of nursing Wilf McSherry, have been seeking to change this. Their three-pronged approach is looking at how to ensure that spirituality is part of undergraduate nurse education, that practising nurses are supported to be confident about spiritual matters, and that it is on the policy agenda. For example, they want the NMC code to be updated to include spiritual needs specifically. They are also working on a tool to help improve spiritual care without adding more work to the nursing day through a three-year European Union project called EPICC (Enhancing Nurses Competence in Providing Spiritual Care through Innovative Education and Compassionate Care). The project is aimed at developing best practice in spiritual care education for nurses, based on evidence. 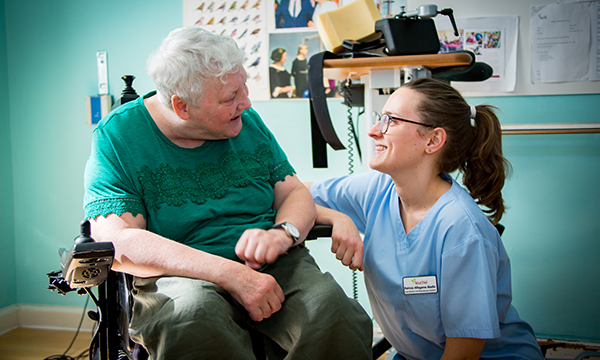 Difficulty in defining the role of nursing in spiritual care is part of a wider reluctance to think or talk about some forms of spirituality, whether it is based on religious faith or not, she suggests. ‘I think the landscape is changing, and there is a much broader definition of spirituality. Ms Betteley says considering spirituality is important when caring for someone with cancer. 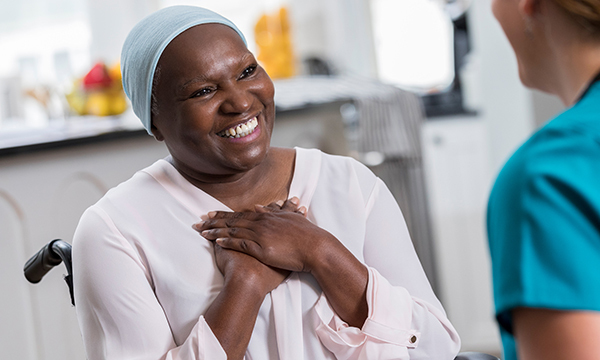 ‘When someone is going through a cancer experience, whether their cancer is curable or not, it can cause major spiritual distress and they need to be able to have open conversations about what is important to them and their options and sources of support,’ she says. after guests arrive at Leuchie House hospice. When guests arrive at the Leuchie House respite care centre near Edinburgh they take part in a comprehensive assessment of what they need to make their stay happy and productive. ‘We call it the Leuchie MOT,’ explains chief executive Mairi O’Keefe, a registered nurse. ‘We assess their physical and emotional requirements, including their spiritual needs. Leuchie House, in North Berwick, provides respite care for people with long-term conditions. Initially run by the MS Society, it has been an independent charity since 2011. Guests – never called ‘patients’ or ‘service users’ – have a variety of conditions, including MS, Parkinson’s, the effects of stroke, and spinal injuries, and the assessment process is designed in part to pick up any issues that need to be addressed – for example, if the person's wheelchair is fit for purpose. The idea, says Ms O’Keefe, is to put in train changes that ensure the benefits of the stay at Leuchie House endure after the person returns home. Ms O’Keefe, who will remain patron of the charity after retiring as chief executive in November, believes there is a risk more generally that people’s spiritual needs can be neglected, in part because of a growing awkwardness over talking about faith. ‘You shouldn’t be scared to say you want to see a priest or a minister or a rabbi, or any other religious leader,’ she says. ‘But it’s become something of a scary topic – like death and politics, it’s something a lot of people don’t want to talk about. Ms O’Keefe says she makes a conscious effort not to promote her own faith in any way. ‘Sometimes when I’m talking to guests it becomes clear that they want to talk about it – or they’ve seen a notice about a church outing on the trip list and say they want to go.